Stones telling the story of David's victory over Goliath on the path up to Tel Azekah in Israel. 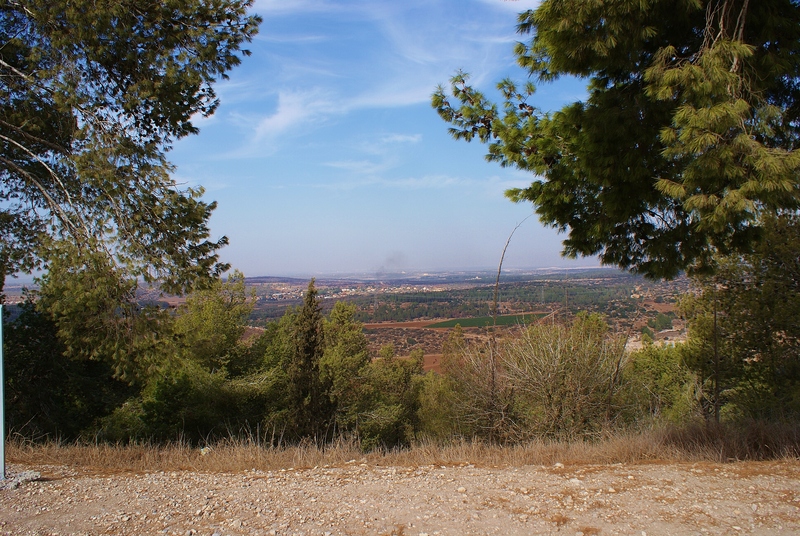 In the Judean lowlands, rising above the Elah Valley, lies Tel Azeka (also Azekah) – mentioned numerous times in Biblical texts. 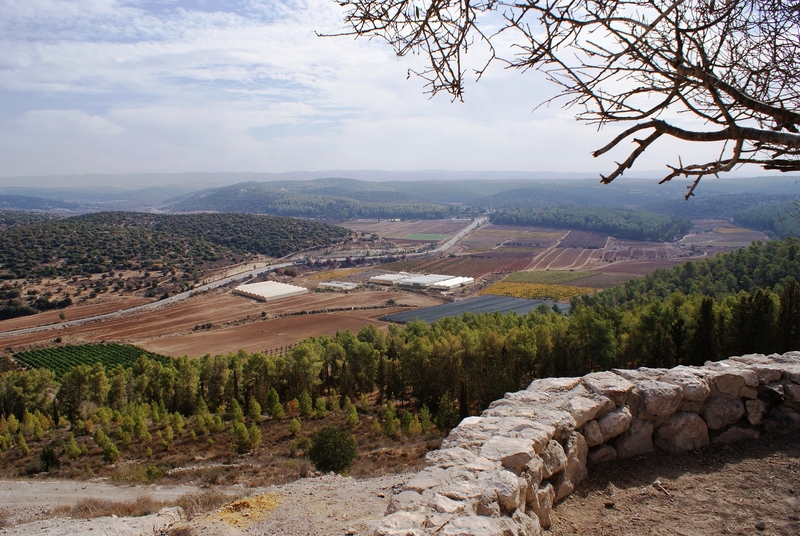 Perhaps most famously, it is associated with the story of David and Goliath, which is etched into blocks of stone set by the path up to the top of the Tel, its dramatic ending overlooking the Elah Valley below on one side and views as far as the Mediterranean coast on the other. 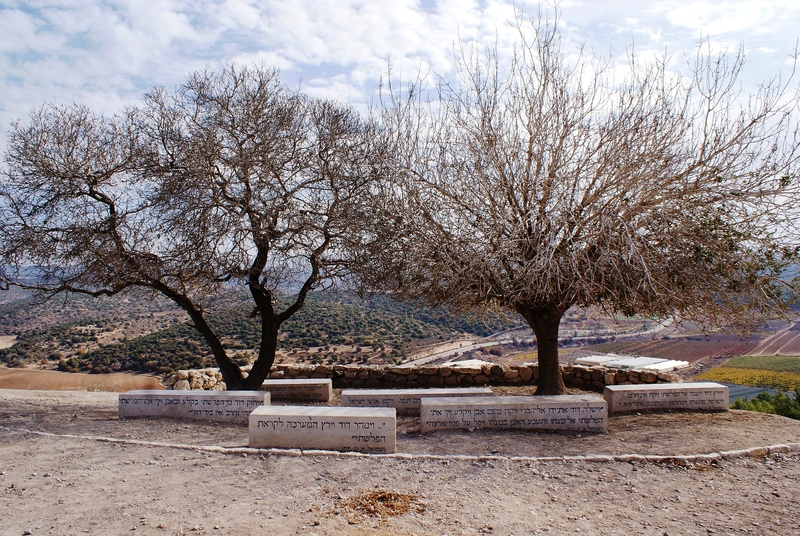 Azeka also gets a mention in the Book of Joshua, both as the site of a hailstorm which destroyed the army of the Amorite kings and later as part of the area designated to the tribe of Judah. 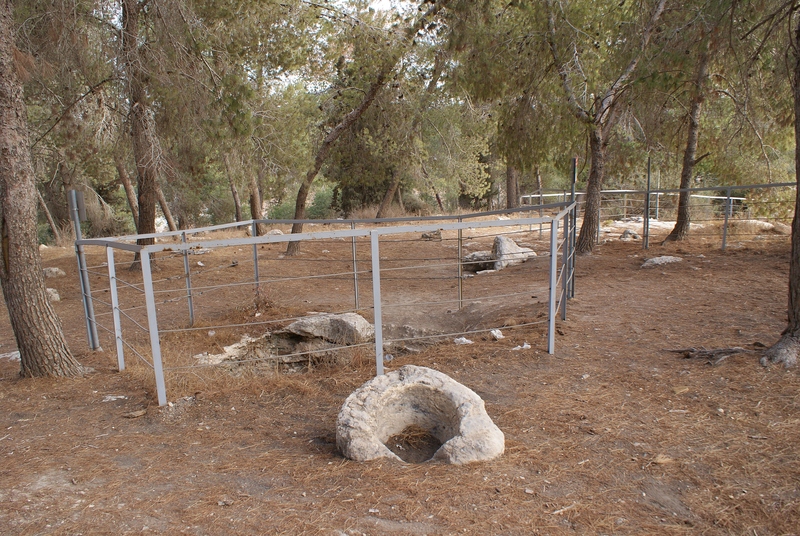 As described in Jeremiah, Azeka and Lachish were the last two cities to fall to the Babylonians before Jerusalem. 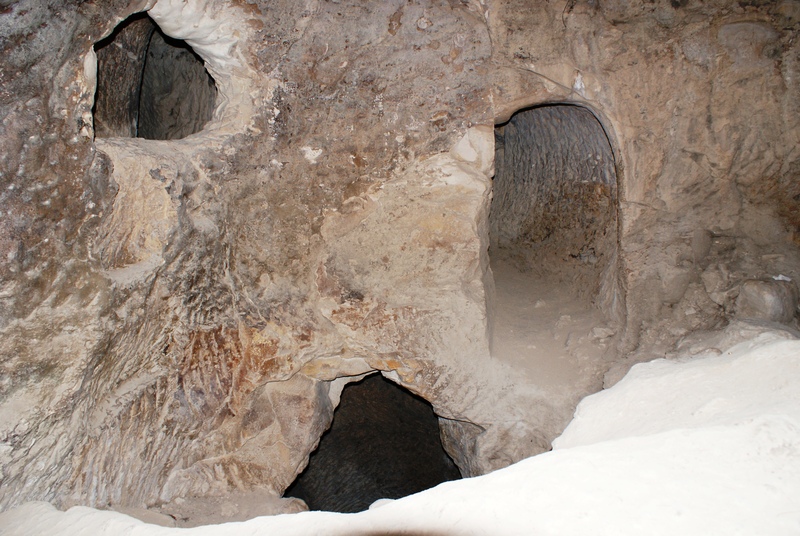 The town is mentioned in the Lachish Letters (currently to be found in the British Museum) and also in Nehemiah as one of the places to which the exiled Jews returned. 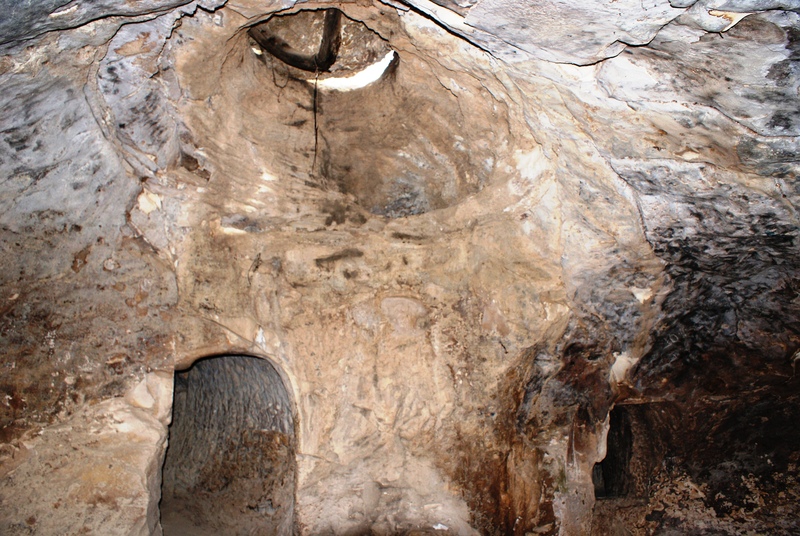 Tel Azeka was first excavated by British archaeologists between the years 1898 – 1900 and a system of interconnecting hideout caves used by Jews during the time of the Bar Kochva revolt against the Romans was discovered. 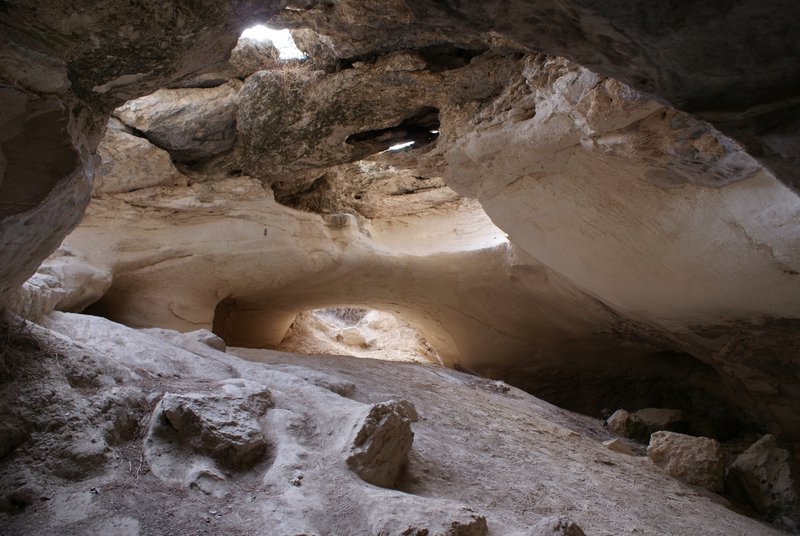 This summer, archaeologists from Tel Aviv University and others began excavating the site using modern technology and some of their findings can be seen on the dig’s blog. Previous articleUniversal Education or Universal Competence?